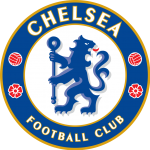 Albion’s recent good form will face its sternest test on Sunday as they visit Stamford Bridge to take on Antonio Conte’s Chelsea side who have won their last eight games in the Premier League and sit three points clear at the top of the table. Since a heavy defeat to Arsenal in September, Conte switched to playing three at the back and have since picked up 24 points from 24 in the Premier League, including a run of six games without conceding a goal. That came to an end when Christian Eriksen put Spurs ahead at the Bridge two weeks ago, but the Blues turned that game around in the second half and followed that up with their most impressive result so far, a 3-1 win at the Etihad last Saturday lunchtime. Albion made it 10 points from a possible 12 last Saturday, although they weren’t at their best in the win over Watford. They took their chances well, which is exactly what they will need to do in order get anything at Stamford Bridge. While the Baggies might not have players of the quality of Spurs or Man City, both those teams showed that Chelsea aren’t invincible, but neither side capitalised on the chances they had. It will be a difficult test for the Baggies and Pulis has a tricky choice on how to approach the game. Taking the home game against City as an example, allowing them easy possession as was done in the first half proved to be a mistake as Guardiola’s men ran wild. Albion pressed up in the second half and looked far more dangerous and caused some real problems, but two late break away goals from the visitors gave the scoreline an undeserved gloss. Both City and Spurs pressed Chelsea and gave them problems and, while Albion don’t have the same quality of players and certainly cannot afford to go all out attack, surrendering possession in the opposition half too easily would also be a mistake. Pulis must accept that Albion will concede, and thus we will need to score at least one to have any chance of getting a result. In the past, he has relied on a clean sheet and maybe nicking a goal from a set piece away from home, but that doesn’t allow for an individual mistake or a piece of bad luck that can always lead to a goal. This season, the Welshman has taken a more positive approach, although that has led to a less solid back line with just one clean sheet in the last 11 games in the Premier League. Even in the “dark days” of the past few years when Pulis’s defensive approach was frustrating many Baggies fans, Albion’s best performances were often against the top sides in the division with last seasons’s draw at Chelsea being a case in point. He does, therefore, have a track record of attacking the top sides and has achieved some great results – this season, he has started doing that against the lesser sides as well and the results are there for all to see. Chelsea remains the only established Premier League team at which Albion have yet to record a Premier League victory. Long waits for wins at Arsenal, United, Liverpool, etc. have all come to an end in the last six years, but Albion’s last league victory at Chelsea was in September 1978 when Bomber Brown, Cyrille Regis and John Wile were on the scoresheet in a 3-1 win. Albion almost ended that run three years ago before Andre Marriner gifted Chelsea a point when he awarded the hosts a stoppage time penalty when Ramires took a dive in the box. That point, and the one achieved in January this year remain the only times Albion have avoided defeat at Stamford Bridge in the Premier League, but recent results and performances have brought the optimism back to the Hawthorns. The last league win at the Bridge came just three days after Albion had beaten Galatasaray at the Hawthorns to progress to the next round of the UEFA Cup. With Albion in 7th place, the possibility of more European nights at the Hawthorns seem closer than they have been for some time, and a result at Chelsea on Sunday will do that ambition no harm whatsoever. Chelsea’s winning run must come to an end at some point, and I fancy Albion to get a draw at the Bridge on Sunday.